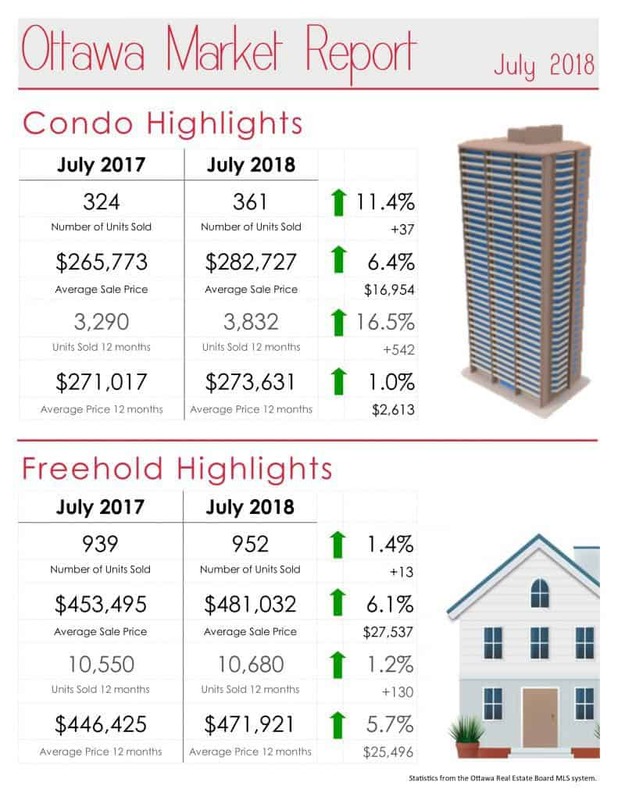 The strong real estate market in Ottawa is continuing through the summer. 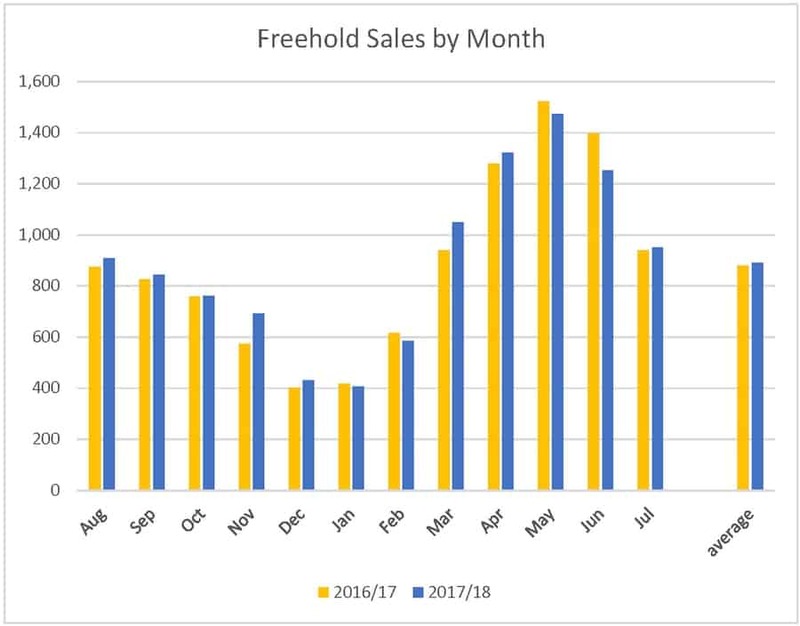 The charts reflect information on sales to the end of July 2018. Condos are continuing to do particularly well, being well up in both number of sales and average sale price year-over-year. 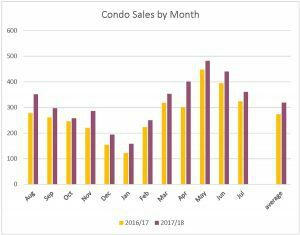 The number of resale condos in the last 12 months is up over 16% compared to August 2016 through July 2017, with more sales in all the past 12 months compared to the year prior. 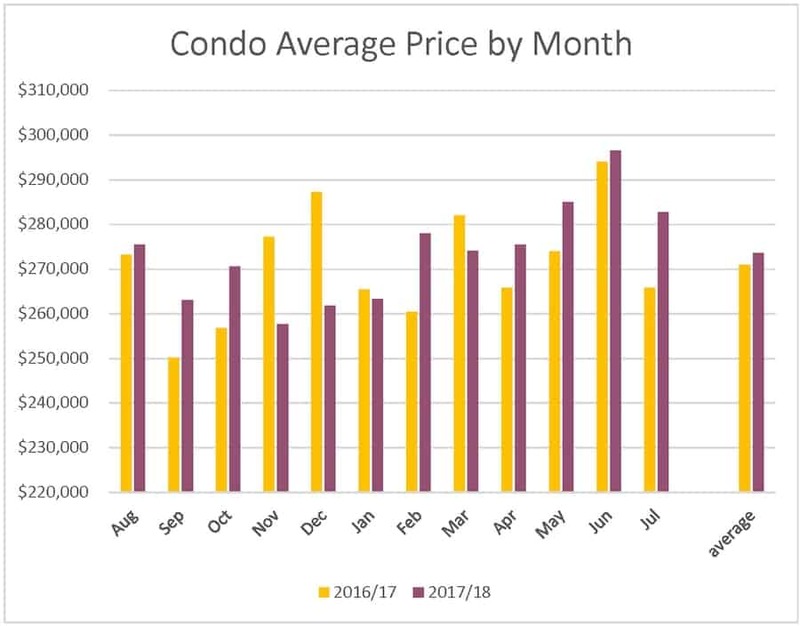 Condo prices were less strong, with lower average prices in Nov, Dec, Jan and March than the preceding year, but are still up 1% year-over-year, and up over 6% this July compared to last year. 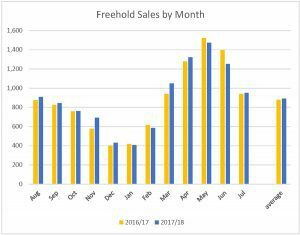 Freehold properties are also up in both number of sales and average sale price. 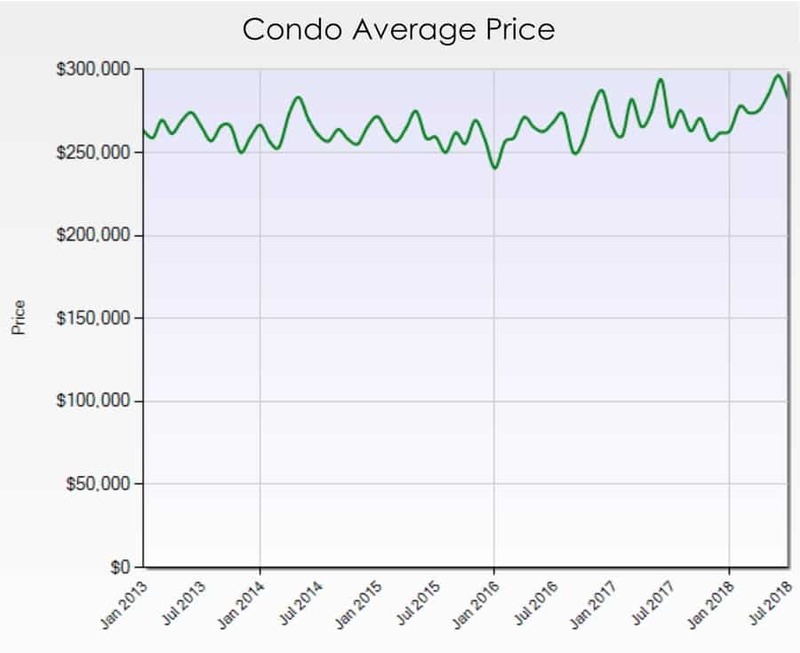 Though not as significant a difference in number of sale as condos, average prices are well up – close to 6% July-over-July and also year-over-year. 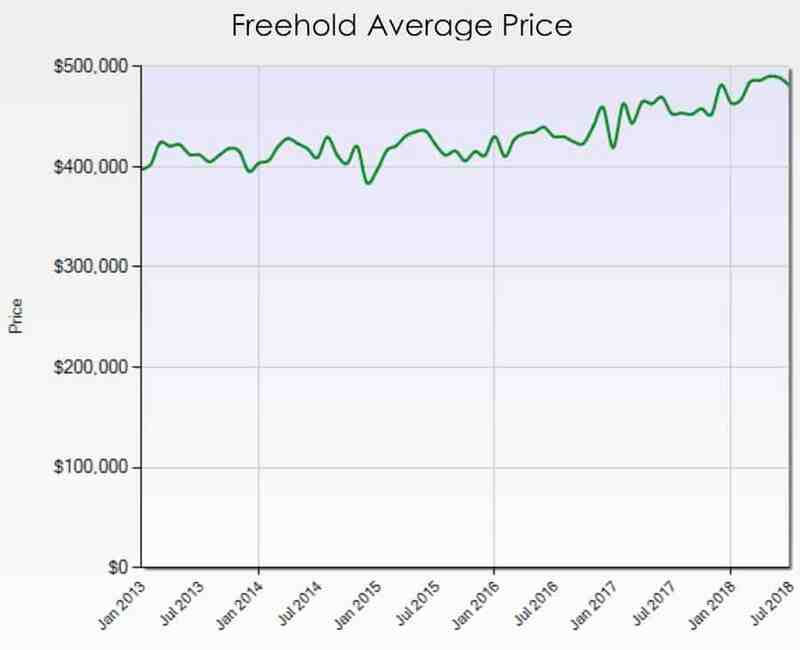 The charts below show the changes in average price of condos and of freehold properties over the past 5 years. 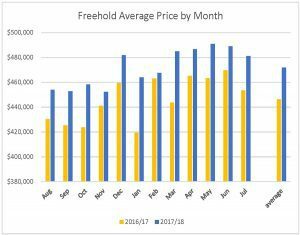 Every couple/few months prices rise or fall a bit, which is standard. 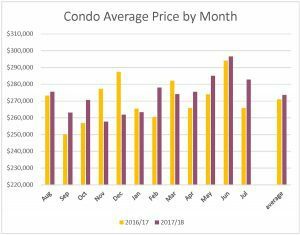 Changes in the size of homes and condos affect prices, so it’s not strictly one-for-one, and it varies from neighbourhood to neighbourhood. 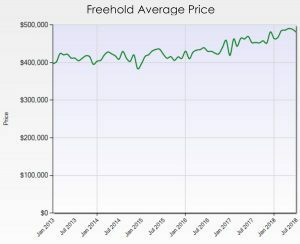 But in aggregate they provide an overview that shows both types of ownership finally making a noticeable rise. 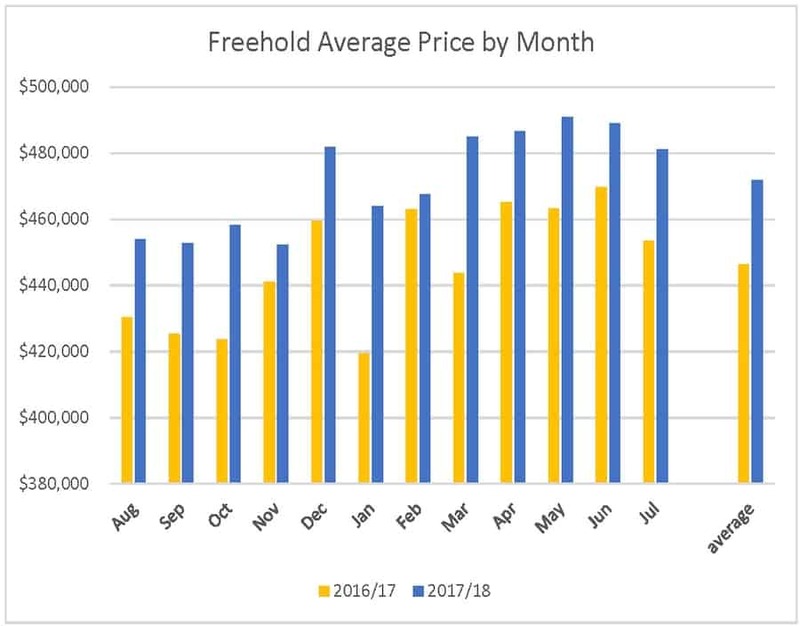 Freehold started earlier in January 2017, and the increase is very noticeable. 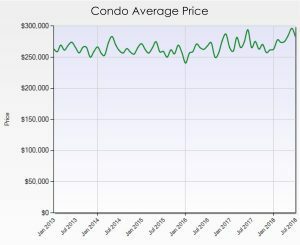 Condos are still bouncing around, but overall do appear to be on an uptick as well.